Item # 151655 Stash Points: 2,195 (?) This is the number of points you get in The Zumiez Stash for purchasing this item. Stash points are redeemable for exclusive rewards only available to Zumiez Stash members. To redeem your points check out the rewards catalog on thestash.zumiez.com. 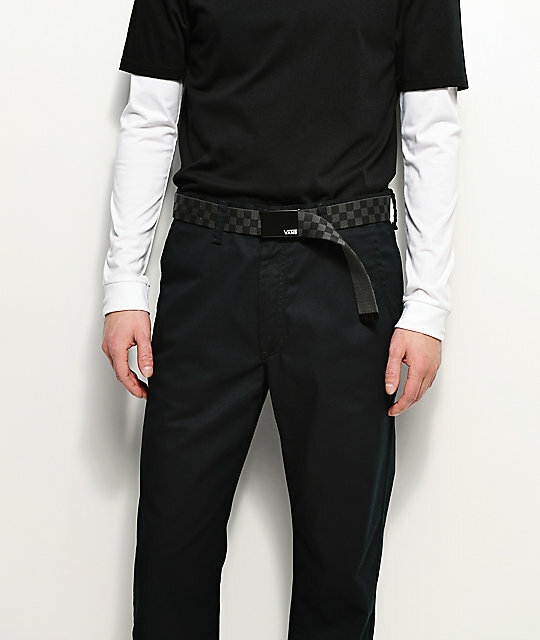 Rep' your favorite brand while you keep those pants up nice and secure, in the Vans Deppster black and charcoal checkered belt. 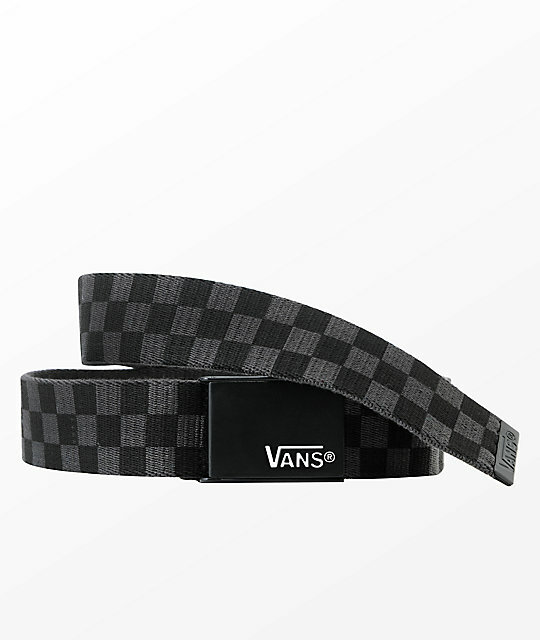 Vans Deppster black and charcoal checkered belt. Grey and black checkered patter all over. 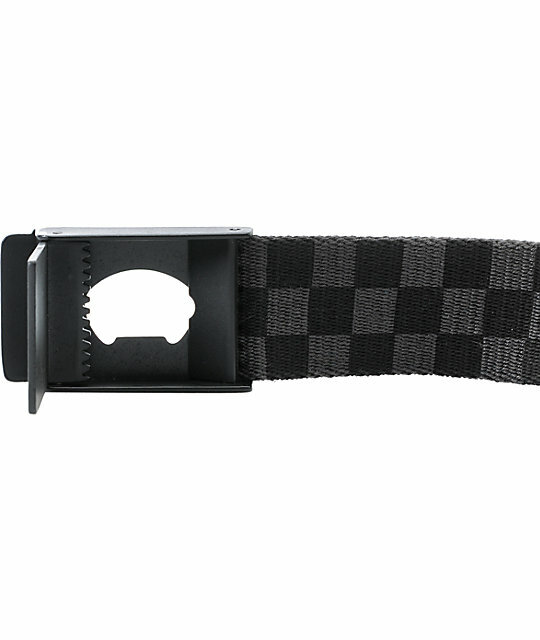 Black buckle with embossed Vans logo.